Cork East made headlines earlier this year with controversy over the Sinn Féin selection convention for that constituency. Sitting TD Sandra McLellan was challenged by Cllr. Kieran McCarthy, the aftermath of which saw McCarthy expelled from the party and McLellan announcing that she would not contest the election. 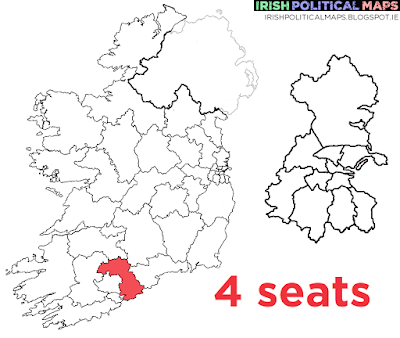 Pat Buckley is Sinn Féin's replacement candidate, while McCarthy is running as an independent. Fine Gael TDs David Stanton and Tom Barry are joined by Cllr. Noel McCarthy, while Fianna Fáil are running Barbara Ahern and Cllr. Kevin O'Keefe - both children of the former Fianna Fáil TDs for Cork East, Michael Ahern and Ned O'Keefe. Labour are sticking with junior minister Seán Sherlock, while former perennial Fine Gael candidate Senator Paul Bradford runs for his wife's Renua Ireland. Ciara Leonardi Roche is the AAA-PBP candidate, Ken Curtin runs for the Social Democrats and Natasha Harty runs for the Greens.